Drones – What are the rules with them? What are they? What are they used for? In 2015 there was a 300% rise in drone related incidents recorded across the UK. This quick information guide is here to provide basic information on this new growing technology, alongside the regulations for all drone owners (pilots). This is regarding the recreational drones. 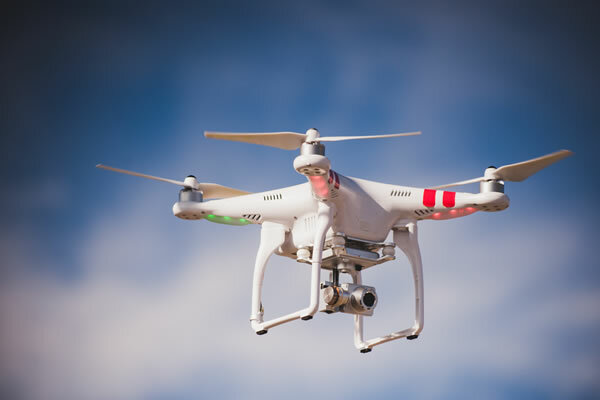 A drone is regarded as a remote-controlled pilotless aircraft, it is similar to a remote controlled helicopter young children have, but this has more technology onboard. Drones have many uses for now and the future. The main use is for taking photographs and video from high above. But some companies like Amazon are looking into using this technology to deliver parcels quicker and more efficiently in the coming years. But as this is a relatively new technology here are the regulations regarding drones and there pilots. What are the laws on flying drones? The CAA (Civil Aviation Authority) has issued a set of guidelines for all drone users, commercial or personal. This is to ensure they are flying as safe as possible, and pilots have full control over the drone. Always maintain visual contact with the drone. This is also to be kept in a radius of 500m horizontally and 400m vertically. Do not enter a no fly zone. This includes airfields, controlled airspace and other various no fly zones. If you are using your drone for commercial use, you must have permission from the CAA. Do not drop items from the drone, which may endanger people or property below. Do not fly with in 150m of an open air gathering, e.g. a concert or an event. Do not fly within 150m of a built up area. Do not fly within 50m of another person’s vehicle, vessel, structure or personnel.